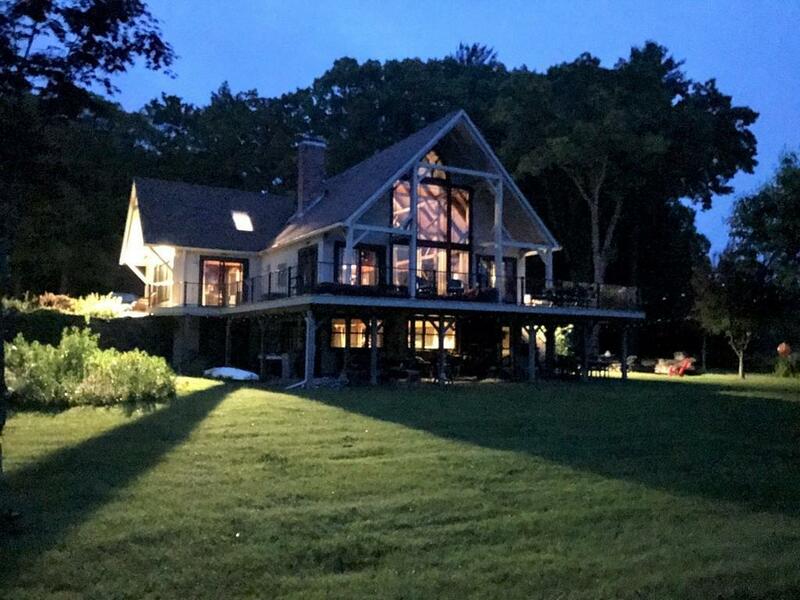 180 CT River views w/ privacy on 4.4 acres. 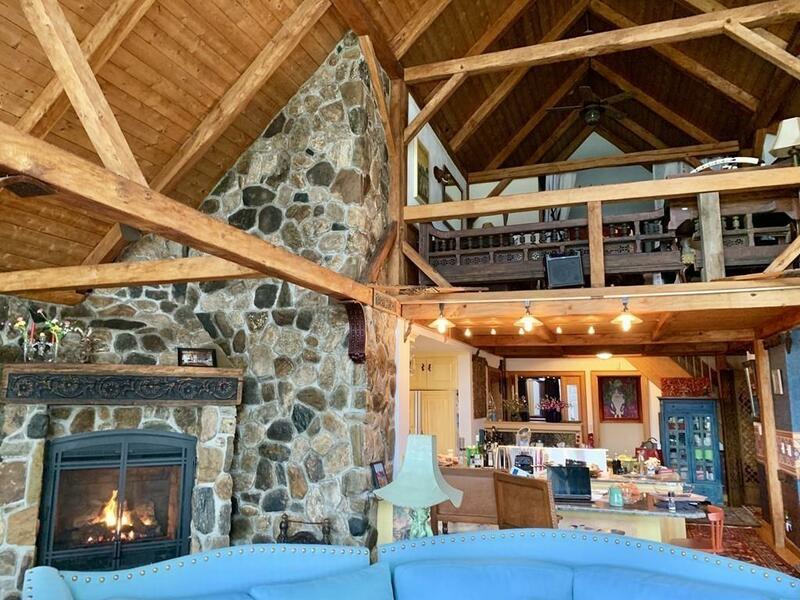 Luxury remodeled post & beam barn w/ 3 level open floor plan & 16 stone gas fireplace. Wet bar easily converted back to main floor MBR. All new windows /doors. Custom Marvin gothics. Floor to cathedral ceiling picture windows to south view. 180 Azek PVC deck w/ high visibility vertical cable rail & under deck guttered dry space. Hardwood master suite w/ electric fireplace & 2nd BR. Luxurious marble MBath with heated floors; tankless hot water; steam shower; toilet room; slipper tub all w/ water views. Waterfront guest suite with catering kitchen and bath; huge lounge w/ potential for additional beds/rooms in walkout first floor. Outdoor living: bar; hot /cold sink; fire/clam bake pit/outdoor grill. 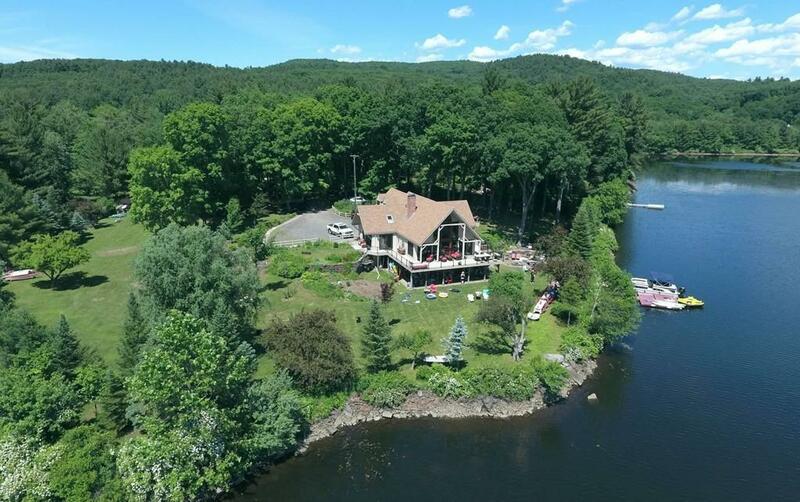 Endless level yard & 2 new rare permitted docks; heated 2 car garage; 2 sheds & boats w/ storage areas to enjoy 20 miles of CT River. Off Route 2 w/ easy access to I-91. Bboro - 20 mins N; Bradley Aport - 40 mins S Amherst, 20 mins SE. 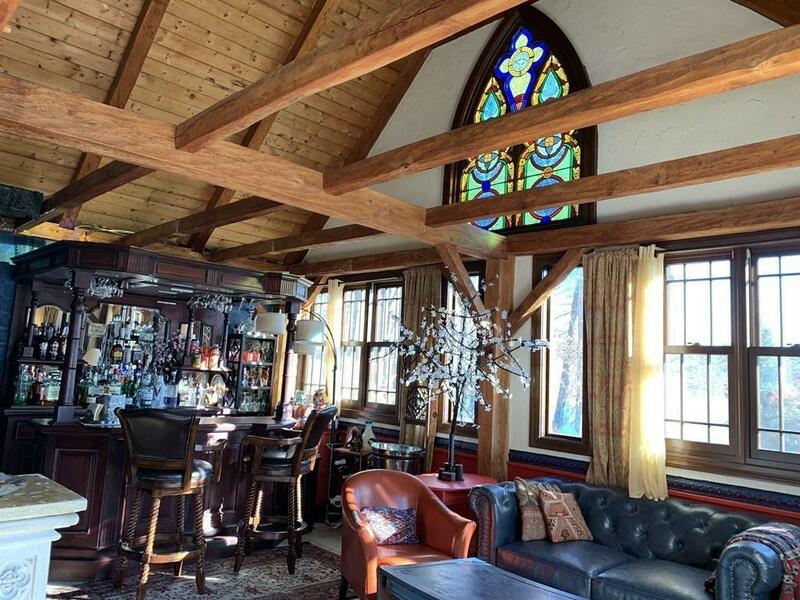 Listing courtesy of Sherri Willey of Jones Group Realtorsâ®. Exclusions Ornate Mirror in Door Frame On Upper Floor Will Not Convey. Listing provided courtesy of Sherri Willey of Jones Group Realtorsâ®.